Every industry is being transformed by data. Data is now the strategic asset that defines whether a company is disrupting its market, or being disrupted; whether it will succeed, or even exist. When we think about digital transformation, we see a holistic system of how companies capture data, how they ensure they can access it and transform it using cognitive insight and analytics, and how they can preserve it over longer periods of time, and ultimately, forever. The dramatic changes in the role, volume, variety, and velocity of data, bring no less significant changes in the data infrastructure that powers it. Here are six trends that are key to shaping the next generation of data infrastructure. Applications are changing and they are demanding a different way of building architectures. The demands of AI, machine learning and IoT and edge data centers are very different than the traditional enterprise applications most systems were built to support. To harness these opportunities, data infrastructure will need to move away from general-purpose solutions, to specialized architectures where storage, compute and networking can be fully optimized for the particular needs of data. RISC-V is a great example of how computing design is evolving to accommodate these changes. The democratization of data infrastructure is a key component for future architectures. Open standards will help ensure vendor-neutral solutions that allow organizations with critical interoperability to fuse data across locations and sources for simplicity at scale. Furthermore, technology needs to evolve faster than ever. We need the power of a community to drive that innovation, faster. Software composable infrastructure (SCI) is a new way to approach efficiency and performance at scale. This new architectural approach disaggregates network, compute, and storage into shared resource pools, that can be made available on-the-fly using software orchestration. 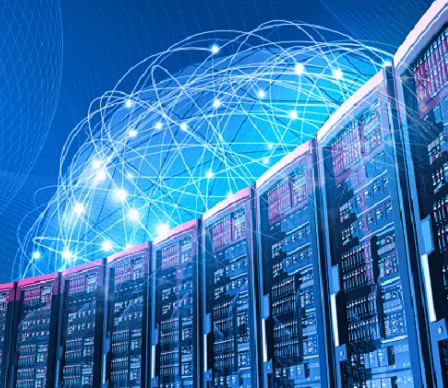 New SCI solutions, such as the OpenFlex™ architecture, cannot only dramatically improve performance and server utilization, it also brings IT breakthrough levels of scalability, flexibility and agility. Here’s a short video overview of how it works. The biggest concern for many IT teams has been tackling the growth of data. However, big data is now getting faster, and we’re seeing a rapid rise in the need for fast data in edge data centers to quickly gather and mine structured and unstructured data for real-time analytics. Innovations like NVMeTM or DRAM-emulating memory drives allow businesses to leverage a new class of applications and achieve breakthroughs once thought impossible. IT’s focus is changing. CIOs are becoming the owners of digital business and technology-led innovation. To free up resources for strategic undertaking, IT needs to simplify, automate and consolidate hardware. Whether it’s the adoption of flash for consolidating databases and Virtual Machines or implementing intelligent data management solutions that use automatic policies to move cold data and free high-performance storage – data infrastructure needs to be easy to manage so IT can focus on what really matters to the business. We’re on the path to ‘everything analytics,’ with businesses measuring anything that can extract data to gain insights and find a competitive edge. Infrastructure, too, is becoming ‘smart.’ One example is through predictive analytics. Solutions like IntelliCare™ use analytics in the cloud to maximize the uptime and efficiency of IntelliFlash™ arrays. Another interesting use case is our ActiveScale™ object storage system. By leveraging our own hard drives, the system is hardware-aware, automatically testing misbehaving drives, and it can intelligently decipher if a drive went offline due to a hardware or a software failure. With the addition of this built-in intelligence, it is forecasted to cut the number of returned drives by up to half saving significant management time.